It’s funny how the creative process works sometimes. As I’ve mentioned before, I have trouble finishing one book until I figure out what story is next. I’ve wanted to try my hand at horror, and had a plot all pondered out. I’ll still write that book, but I was driving to the store the other day and another plot bunny hit me. A horror/farce tale that combines a theatre company and zombies. Inspired by the fun I had working on Stage One’s production of Night of the Living Dead, as well as The Zombie King himself, author and friend, Jack Wallen. I’ve written farce before, and it’s big fun to do. There’s nothing that beats throwing ordinary people into ridiculous situations. I thought of this tale yesterday on my way to the store, pondered out all the major plot points last night, and the first chapter practically wrote itself today. I loved writing Wyrd House and Descending, but this is fun like I haven’t had since Ghost in the Park. I’m going to have a ball. 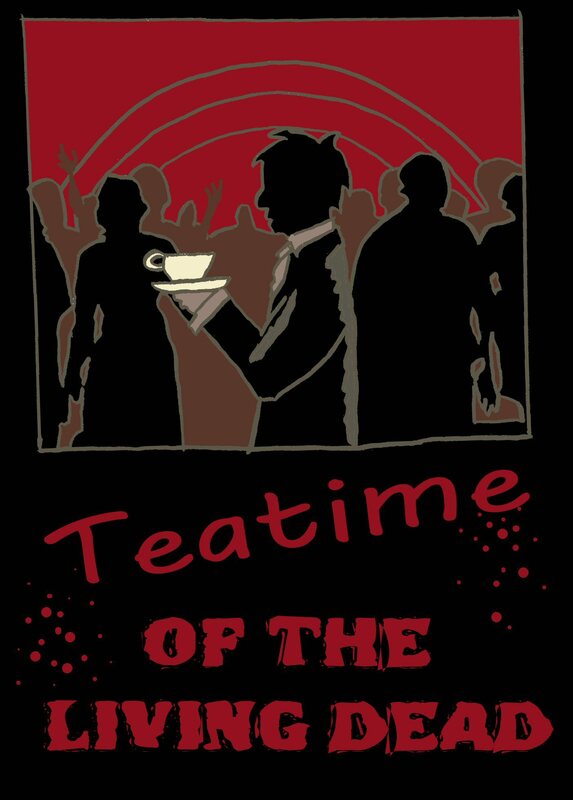 Teatime of the Living Dead is going to be hoot. Teatime! Behold my mad paint skills! This entry was posted in writing and tagged horror and farce, next book project, Teatime of the Living Dead. Bookmark the permalink.